Wearable devices, environmental sensors, machinery in factories, components in a vehicle or devices in homes and buildings can all be connected to deliver insights and drive transformation. So imagine if you had smart devices in your home, your car, your workplace ─ or even on yourself. The Internet of Things can make life easier and reinvent the way we interact with the physical world. 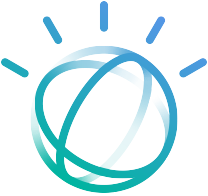 Watson is IBM's artifically-intelligent supercomputer. Watson IoT™ Platform can understand the language of your industry to find how your unique needs can become your competitive advantage. Proceed with confidence by having risks identified and managed by a professional Australian Systems Integrator of 21 years. CLOUD CAT is a Joint Venture between ISW and Stornoway, applying IoT and AI into an innovative, real-world cost saving, value-adding industry solution. Click the logo to find out more!